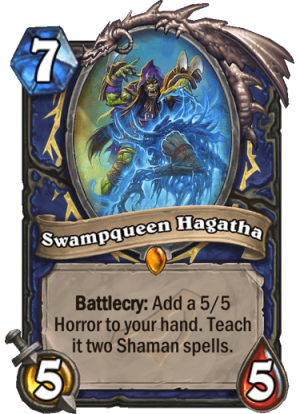 Swampqueen Hagatha is a 7 Mana Cost Legendary Shaman Minion card from the Rise of Shadows set! Battlecry: Add a 5/5 Horror to your hand. Teach it two Shaman spells. Rating: 4.1/5. From 305 votes. Here’s how the card works in practice. If you can’t watch the video, it works a bit like Kazakus. When you play Hagatha, you Discover two Shaman spells, which are cast when you play the 5/5 Horror. The 5/5 Horror costs 5 mana. It is so slow it hurts to look at. You could compare this to old ancient of lore, a 7 mana 5/5 which draws 2 cards, a similar effect on the same statline and cost. The reason its not good is because its a shaman card. AoL was run in druid, which had ramp (OP pre-nerf ramp) which meant you could get AoL out on earlier turns where it wasn’t such a massive tempo loss. 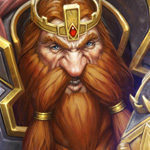 In a class that can’t ramp (Shaman) AoL would not be nearly as strong. 3 Stars as a card considered, but not always ran, in a tier 2 deck. Ancient of Lore has only drawn 1 card for a long time now! After Rin proved that a card that needs 41 total mana can be good and competitive, I’m not worried about the 12 mana total cost required to get full value out of this. 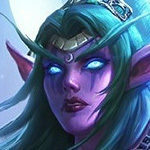 I know that’s why I said “old” ancient of lore. Kibler’s newest secret weapon for Dragon Shadderwock Shaman. This is a crap-tonne of value – even more so with Shudderwock since both Hagatha AND the Horror are battlecries meaning that the ‘wock will give you another Horror and cast both the spells the original one did… though with random targets, so picking Lava Burst (as in the video) first time around could be a little risky. 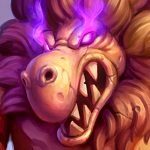 Whether there will enough support for a slower Shaman package remains to be seen though – there are a lot of cards rotating out including Grumble, Kalimos, Healing Rain and Volcano … and all the Elemental synergy from Un’goro. 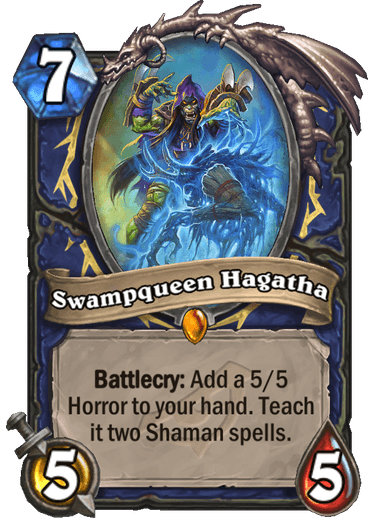 I think Swampqueen Hagatha could be great with the right support – however, if the meta is fast and Shaman doesn’t get some boosts to survivability, she’ll likely be too little, too late. It is really interesting to me how people are still saying “Shaman spells are trash, will not see play” even though Hagatha (hero card) has the same interaction with Shaman spells, people were saying she will not see play because Shaman spells are trash but she is being played anyway. I dont know…feels like history repeats itself. First off people did not say shaman spells are trash. It was mentioned the first time when the card was announsed on steam with the card. The reason shaman spells are considered bad is that they usually come with overload. And that requires more planning than any other class. Since if you are playing control and you want to play something you must plan for it in advance. 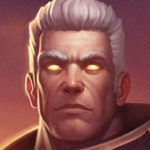 Whitch is something your oponent can see. And that makes you predictable whitch is even worse for control. So this is whyshaman spelsl are considered trash. Don;t get it wrong those spells are the most flexible in the game. And shaman has all of the magic effects exep sap like effects. But polimorph effect are extremely usefull. Jade lightning is the best jade spell from the whole jade archtype. The problem itself are not the spells its the archetype. Battlecry: Cast Spell A and Spell B. Normally battlecries aren’t affected by + spell damage. However, in this case the battlecry seems to cast a spell. I wonder whether damage spells cast by the Horror will benefit from + spell damage. Love the concept of this card. Will be fun to try out with Shudderwock, but remember Mistcaller was a 6 mana 4/4 with a big effect but never saw much play. If the meta is fast, this card may be too slow. The card says “Cast spell 1, 2” not “Battlecry cast spells”. So iam not sure about Shudderwock. The other question for me: if i discover Hagathas Scheme, does it upgrade each of my turns? I rewatched the video and the Horror’s card text is “Battlecry: Cast x and y.” Shudderwock will then give you another Horror to your hand (not sure if spells learned will be the same or random). Shudder will also cast the spells of the original Horror probably with random targets. I am assuming this will occur because Shudder’s interaction with Stonehill Defender gives me a random taunt minion to my hand (Shudder does not allow for Discover). Will be fun to play with this! The generated card is a 5 Mana 5/5 that casts 2 spells that you discover picked value wise this card has potential like if 1 of the spells is eureka and only have big stat minions in hand that a 5 Mana eureka with a 5/5 body and there’s still 1 more spell. Depending on how those spells interact with other cards this will see play. The 7 Mana 5/5 is basically just an investment and isn’t that bad if you’ve run out of cards in the hand. You can easily get a 12+ Mana value card playable next turn and can still drop say a shudderwock on curve if don’t overload. well you could make the same argument about the shaman legendary weapon. 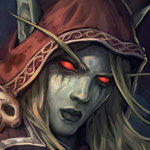 Fact is: shamanspells are mostly trash so the random generated spells will not be great on average. A lot of broken cards were labeled as trash when first announced the thing is this card will be around for 5 more expansions there’s no telling what shaman spells may show up. You can’t judge a card with an ability that can give value like this ATM because we’ve only seen 1 new spell for shaman. Also take into account the spells that are rotating out. After rotation there’s really only 3 or 4 spells you don’t want to pull all the others can provide some form of benefit. And considering it looks to be 1 targeting and 1 non targeting there will be something usefully in some way. I mean really the rotation is only taking away maybe 2 or 3 spells that you’d have wanted but there were more that you didn’t. There’s 1 thing that can happen and will at some point that makes this evil. Turn 3 farsight into this play turn 4 and play the horror on curve. Not likely but 2 5/5 minions by turn 5 and one casts 2 discovered spells. Be worse if one of them was big voodoo. realy? look at previous expansions, there is always one, maybe 2 cards that are underestimated, however there are always 5-10 cards that come out as utter trash even though the comunity said that they are strong. This is obviously a bad card as it is way to slow, even in mage with the nice, big spells this card propably wouldn’t see play. Tell me exactly what other spell is good (and I even include spells that rotate out) UNIVERSALLY (don’t come up with “if opponent has XY and I luckily get spell YZ it wins me the game) and explain to me why you wouldn’t just put the spell itself in the deck (because no shamanspell besides volcano which is bad when played with a 5/5 body currently seas alot of gameplay) but somehow you’d prefer to randomly generate it from another card. And your farsightscenario? you’re just making up an ideal scenario that isn’t even that ideal. Let’s replace your farsightscenario with an actually good scenario: turn 3 farsight into turn 4 rain of toads/fire elemental/eureka/grumble and ahve a mana remaining. are those plays good? no, but they’re definitly better than turn 3 do nothing, turn 4 do nothing and play a 5/5 without any immideat impact. 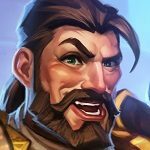 hearthstone is a tempogame, not a valuegame. 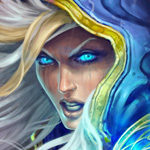 Best example: Why is the lichking a very powerfull card and an autoinclude in every bigspellmage whereas syndragosa who offers way more value and ahs natural synergies with the DK-heropower is only in a few lists and basically considered a tech for controlematchups? because the LK has taunt and syndragosa doesn’t. Hearthstone doesn’t allow you to play a 7 mana 5/5 just to get some whacky chance for good spells the turn later. 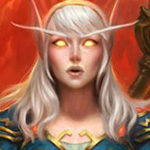 The only minions in the meta without an immideat impact that are 7 mana or more are ysera who only sees play in decks where she’s also a dragonactivator and dreampetal florist who only sees play because she literally sets up the wincondition, some whacky, random generated spell on a 5/5 is definitly not a woncondition. make it generate two of these things and it still won’t see play. Stop talking vaguely about how you can potentially generate a good spell and tell me what spells you consider good universally (and not situational) and what are bad spells and you’ll realise that the list of bad spells is way longer. A lot of cards were labeled as trash and were actually pretty trash. Let’s be serious this card is very pricey. 7 mana is a bunch of mana. The 5/5 can be pretty trash as well what makes your investment of mana and tempo very pointless. Don’t get baited by the video that shoes a very favorable scenario where you cast a bloodlust with 5 minions ready to attack. This card shouldn’t be rated this high. It’s very bad. a few questions i have about this card. does the overload effects activate the video does not show this. will shudderwock replay the exact 2 spells that were chosen? im imagining especially in wild. hagatha(the hero card) lightning storm and any other massive aoe every turn. The video does show overload: at 0:27, you see the 9th and 10th mana crystals form “lock” symbols from the Lava Burst that was just proxy-cast. 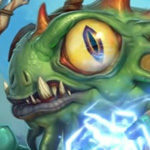 Because the text of the Horror says “Battlecry: Cast (Spell 1) and (Spell 2)”, I would guess that Shudderwock would cast the exact same 2 spells including a random target for the first spell and locking appropriate mana crystals, however Blizzard has been inconsistent before so don’t count on it. An interesting card which is good for a form of value generation play shudderwock after this and add another 5/5 to your hand. Considering it seems to be 1 Target and 1 non Target there’s interesting possibilities. So far we’ve seen 1 shaman spell there may be more good ones. And since we’ll have this card for 2 years there isnt a reason to complain of bad cards by the point of current standard. 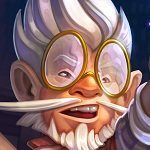 Let’s not forget there’s been several cards that didn’t seem like much when they came out but after 1 or 2 more expansions they received support that made them a nightmare. I don’t think I’d use it in wild though pulling devolve with it would be amusing. And depending on how these spells interact there’s some evil possibilities.kragwa, Electra and Omega mind and considering it would only cost 5 Mana to trigger the spells and leave a 5/5 body. It is obviously a control splash legendary for shaman. While the effect on itself is not sufficient to break the meta or have a deck only with this legendary. It has synergy with both shudderlock and hagatha. Its battlecry effect gives your shudder a nice bonus. If the 2 spells your creation brings are battle cry effect, you are adding a yog like effect to your shudder. And the hagatha hero gives you tons of value from minions that discover or give you minions. That like 4 spells if you transformed your hero from one card. Lifedrinkers are nice splash card since shaman loses healing rain. And the shaman spells are not good. And now that shaman loses the very few good spells its hard. A hex is always a helpfull spell to get, don’t get me wrong. But bloodlust does not end the game wth that low tempo and with no totems on the board. and getting overloaded on turn 8 twice means your turn 9 is not going to be great and since your turn 7 was not that good its a hard thing to recover as control. In any case i think Ben Brode was Right hagatha will be overpowered control deck. 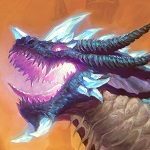 Since both hagathas and shudder are here for the whole year of the dragon. 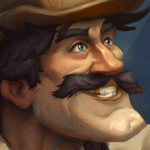 Its a safe craft if you have shudder nad hagatha. You got yourself a deck. Well not OTK nor insta win deck againts any of the classes but a deck none than the less :D.
A balanced card. 12 mana across 2 turns for 10-10 of stats and hopefully useful spells. If we count 2nd 5-5 only as a spell cost (plus 2 Hagatha’s over-costed mana), you are paying 7 mana to cast 2 spells to do something. That being said, sometimes you cheat some mana. sometimes it’s just – equal, fair and balanced. This, obviously a control, card trades tempo for value, versatile concentrated value the following turn or even later. The problem is, with those spells you are forced to get bodies, in exchange for playing it on turns 7 and 8, while Kazakus is played on 4 (conditioned deck and (strong) effects postponed, though). 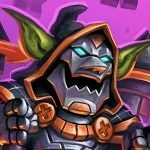 Another thing, Hagatha doesn’t have taunt. 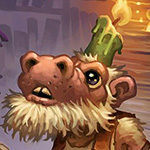 Therefore, control Shaman needs more stalling and synergy stuff, and then 5-5 bodies will be good as Arcane Tyrant, UI Ghoul, Crowd Roaster… Or, Dragon Year HS will be slow and low power level – enough for this to see play regardless. Last 2 or 3 expansions, HS designers are printing cards that resembles past ones. Quite nostalgic approach or a lack of creativity? 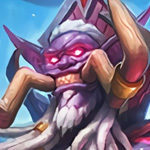 This one is similar to Kazakus and I like it; already seen, but still looks fun and fresh, and that’s enough for me to like it. If the ability relies on the cards being in the deck like that of Corpse Taker ability. Then I’d say Shaman just got a whole lot meaner. Cause Aggro are going to feel the pain. Also, the same with Control decks. Obviously, a seven mana 5/5 with Discover a good to great minion is pretty good. The initial 5/5 is a bit underwelming for seven mana, but for a midrange or control oriented Shaman deck, it shouldn’t be much of an issue. Swampqueen Hagatha should see a fair bit of play throughout its career in Standard and maybe could be good enough to see Wild play. This card is somewhat bad on itself, too greedy and inconsistent because the pool of spells is so wide. 7 mana for a 5/5 with no actual impact which is bad. The next turn might get better with the 5 mana 5/5 horror depending the spells discovered. This is better than kazakus w/o the deck building requirement. This will most definitely see play. I’d hardly call this outright better than Kazakus. 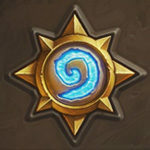 While there is no deckbuilding requirement, there a 5/5 for seven is worse than a 3/3 for four, and the average Kazakus potion is capable of doing a lot more than the average pair of Shaman spells. Very powerful card for a Control Shaman archetype. With this and Hagatha’s Scheme and Krag’wa, a viable Control Shaman deck starts looking plausible. I’m not certain it’ll work out in the end though, so I’ll give this 4/5. FYI: you get to Discover the two spells, and the Horror is 5 mana and has “battlecry: cast [spell 1] and [spell 2]”. It seems like the first option is always a targeted spell, and the second is always an untargeted one, so there’s no special logic of how you have to target the battlecry. I think this card is just ok. If you’re already Hagatha, you pull two more spells (from playing two minions), and the horror is a decent Tempo Bomb (that gets repeated when you Shudderwock! And you get another, crummier Horror to boot!) But you probably aren’t doing anything else the turn you play a 7 mana 5/5 (which is pretty bad, actually! ), and there’s no guarantee the spells you discover will be clutch (especially with Healing Rain and Volcano rotating out). Shaman’s spells are either cheap or conditional right now (of the 5+ Cost spells, Bloodlust and Storm Bringer need a wide board, while Eureka! needs luck and particular sorts of minions in hand. Rain of Toads is the best outcome). For the targeted spell, you’re probably keeping fingers crossed for Hex or Lava Burst, but will get stuck with stuff like Zap! and Earth Shock. Based on the meta and the new spells we get, this should land somewhere between “ok card that’s flexible enough to slot into any midrange/control Shaman” and “inconsistent, greedy card that’s swiftly cut from decklists”. I’m leaning a bit toward the latter, which is honestly ok. 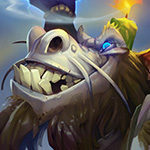 The only good Shaman cards lately have been legendaries- give us Shammy lovers’ wallets a break, maybe? Well the term i use is splash legendary :D, some people say its a win more card. You put way too much words for it. However the control archetype got the best card with zentimo. My eyes were filled with joy when i saw zentimo into a jade lighnind into a 7/7 a 8/8 and a 9/9 golem cramped with deal 4 dmg to 3 minions. But thats in wild. I agree with you not a good nor abad card. You can get very greedy with it. The card does not say “battlecry”. … yes it does? Go to 0:19 in the demonstration video. Can someone explain? So the 5/5 added to my hand is a minion. So far so good. And than? Do i discover 2 spells, getting activated when i play the 5/5? Yep, that’s exactly that xD. A 5 cost 5/5 with 2 spell discovered. Oh okay, i was to fast. So the discover mechanic is on there. Fine. There are a lot powerful Shaman spells. Discover twice seems pretty good. 7 mana 5/5 is not the worst in the world. Without any other cards i would give 4/5 here. Sound like a good card to me, but it seems overload spell does overload. What does it mean when it says ‘ teach it 2 shaman spells’ ? It is a discover a spell kind of, you can find a video on youtube.